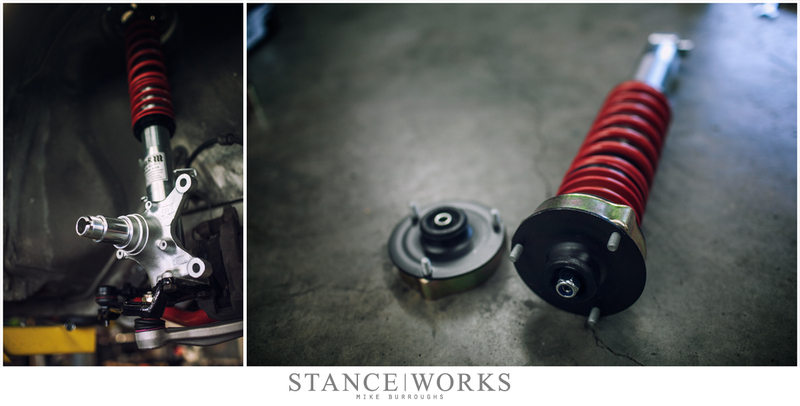 When the StanceWorks "Parts Car" build began, there was an invaluable balance I wanted to find. While undoubtedly a race car at its core, I wanted something built to last. I wanted to build a car that could and would withstand the abuse and agony of time on track, while also withstanding the test of time. When I brought my project idea up to James Clay, president of BimmerWorld, it was clear we were on the same page. "If we're going to do this, we're going to do it right. Factory BMW parts, or better, if we can find them," he said. And with that, the growing list began. In wanting to build the E28 I've dreamt of for years, I was unable to leave any bolt unturned. In July, I had began with a complete, rather nice 533i, but before long, it was perched atop the lift, stripped almost completely. The interior was gone, as was the engine and the rest of the driveline. All of the suspension, subframes, and control arms had been dropped, and even the fuel tank was thrown out. All that remained attached to the shell of the car was a few brake lines, the hydroboost system, and a heater blower motor. Initially, my plan was for an engine swap and suspension overhaul, but in typical fashion, things snowballed out of hand. Thankfully, therein lies the beauty of what BimmerWorld aims to accomplish as a business. Simply put, BimmerWorld is a one-stop shop for any BMW build or restoration, be it for the road or the track. With my Group A tribute build straddling the line between restoration and modification, it was a perfect fit for BimmerWorld to showcase what they do best. 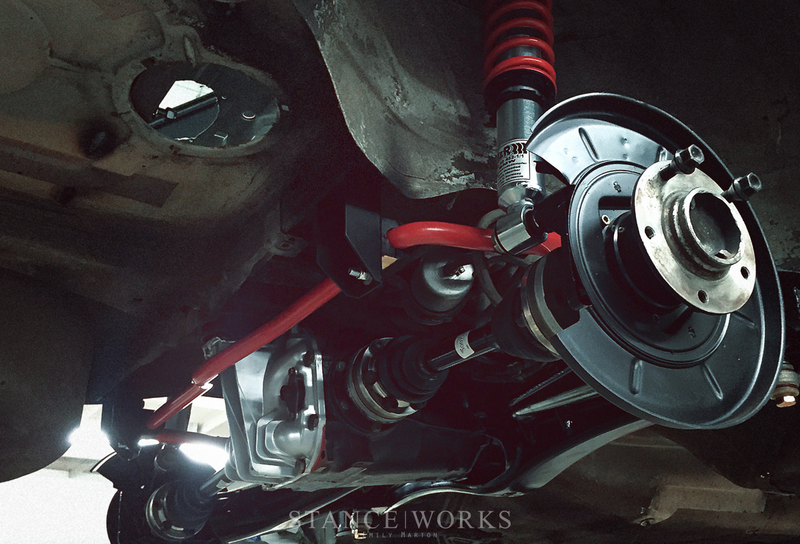 While H&R had the suspension clearly covered for the car, BimmerWorld was the source for all of the components needed to make the car whole again. From bottom to top, from factory replacement odds and ends to high performance upgrades, they were able to ensure the "Parts Car" was ready for showtime. As the car underwent reassembly, I aimed to rebuild everything in its entirety as it went back on the car. For the rear end, this included parts like new rear shock mounts, new wheel bearings, new axles, new brakes, and dog bones. At the nose of the car, new control arms, sway bar links, bearings, hubs, tie rods, and more all brought the car back to new. Even small components like fresh bearing lock rings, dust shields, and collar nuts were fitted to the car. 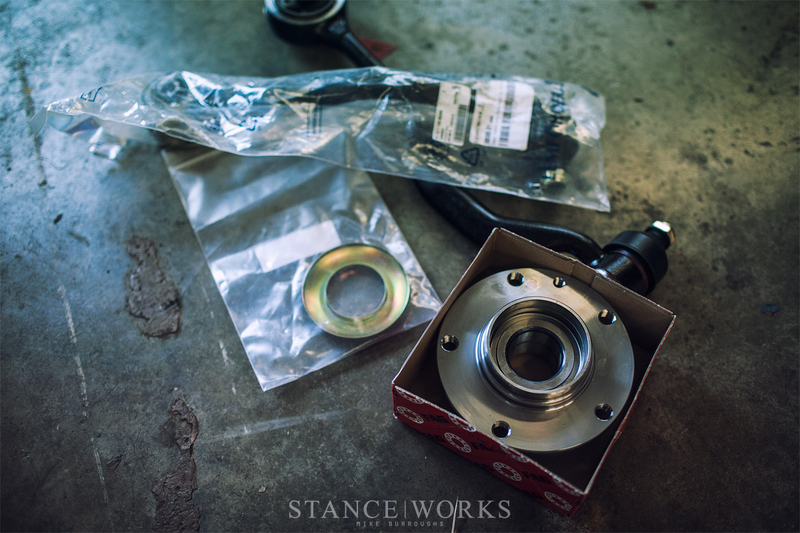 Best of all, the availability of OEM BMW parts meant that BimmerWorld was able to supply me with the best of the best. With the original components having suffered 30 years and 120,000 miles of unmaintained abuse, I'm confident the new stuff will last for quite some time to come. 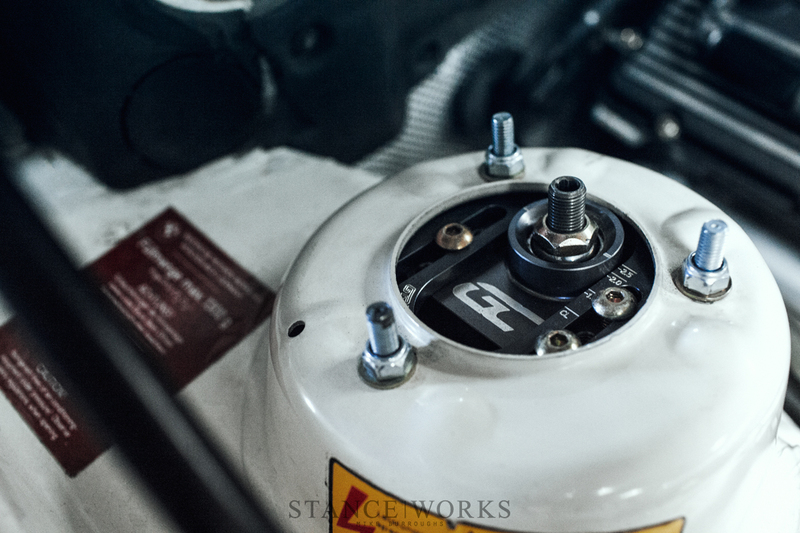 When it came to upping performance, BimmerWorld was able to shine - As a retailer for an incredible number of high-performance brands, as well as a huge number of parts of their own, the E28 was treated to some real treats. 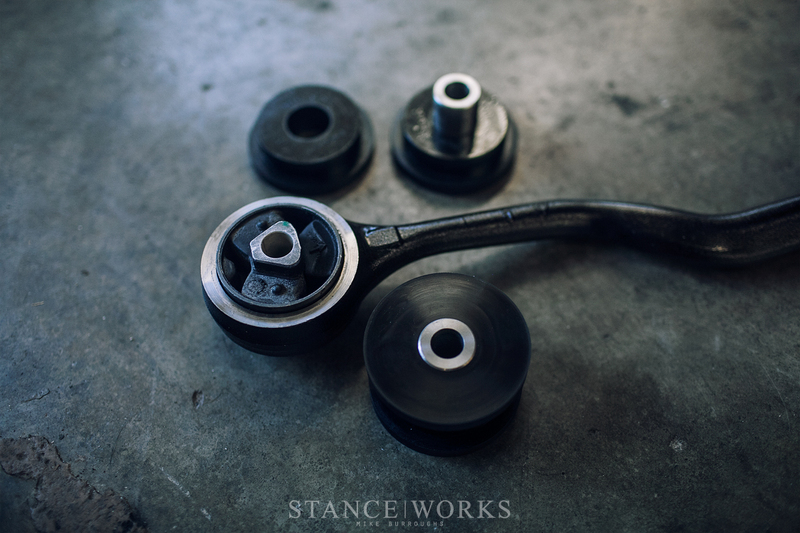 Powerflex race bushings were fitted to every component under the car - control arms, subframes, sway bar mounts, and more - and perched atop the H&R coilovers is a set of Ground Control race-spec camber plates, allowing for fine adjustment of the sedan's alignment. I aimed to keep the car's driveline close to factory-spec following the engine rebuild, but BimmerWorld sourced the car a JB Racing 11-pound flywheel and 6-puck clutch, giving a bit of freedom and "oomph" to the S38B35 powerplant. Urethane mounts support the engine, and a 16" Spal Fan was paired with the large aluminum CSF radiator at the very nose of the car, all available from BimmerWorld for cars headed to the track. Following assembly, there were a number of hurdles on the path to completion, and then there was SEMA too... but all of the effort finally culminated into one incredibly rewarding experience. 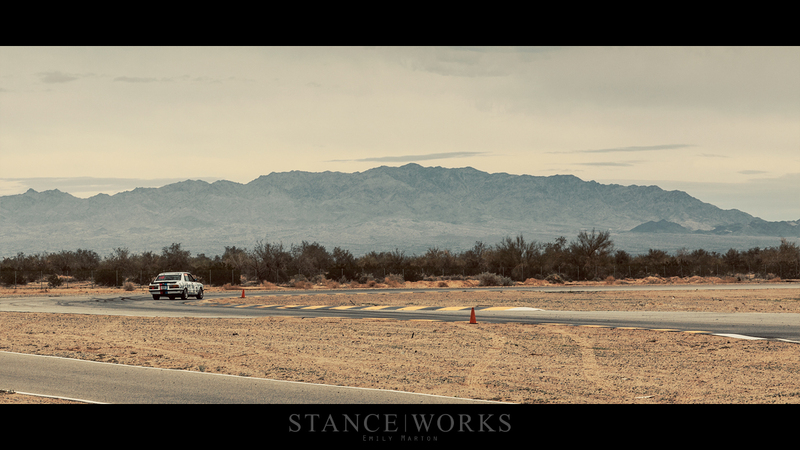 This past weekend, the StanceWorks "Parts Car" Group A E28 tribute made its on-track debut at Chuckwalla Valley Raceway in the first round of the Bimmer Challenge. As our first time out together, and our first laps at Chuckwalla, there was a bit of a learning curve, but after a number of laps, confidence and comfort set in. It was clear that the E28 I had imagined 7 months prior was realized, and the excitement for yet another track day is impossible to put into words. Best of all, I got to share the experience with the BimmerWorld team as they helped me build a race car suited to the rigors of anything I throw its way.